Receive a $20 promotional gift card when you spend $100 on a holiday party this October. 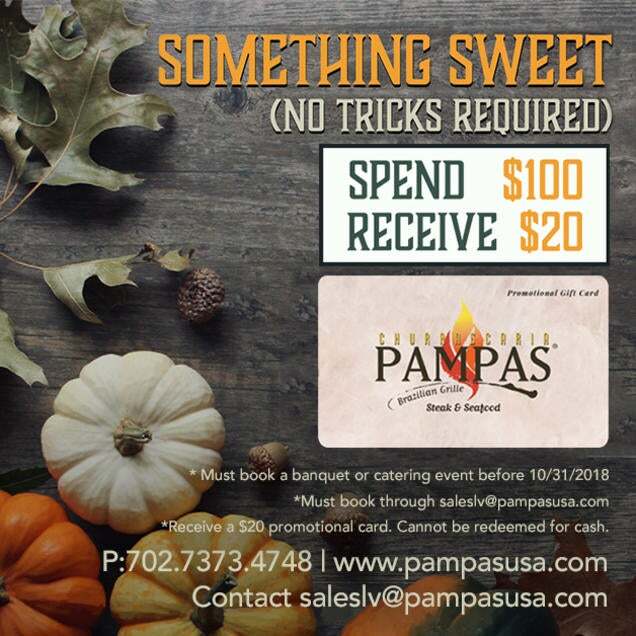 Must book a banquet or catering event before 10/31/2018 through saleslv@pampasusa.com. Cannot be redeemed for cash.